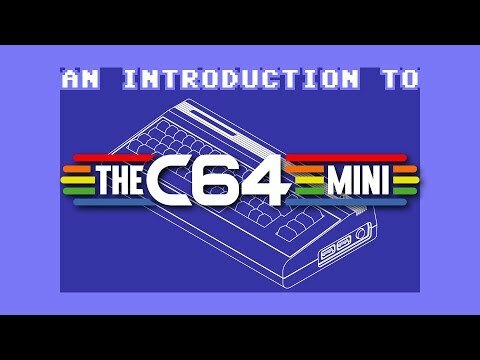 Product Overview C64 Mini: The World’s Best-Selling Home Computer – Reborn! Launched in 1982, the C64 home computer went on to dominate the home computer scene throughout the 1980s. The new computer on the scene; Out goes the silent black and white experience and in with 64KB of RAM, colour graphics, and synthesizer sound. Millions of units were sold across the world and have a special place in the hearts of its former owners. 35 years later and it’s back. 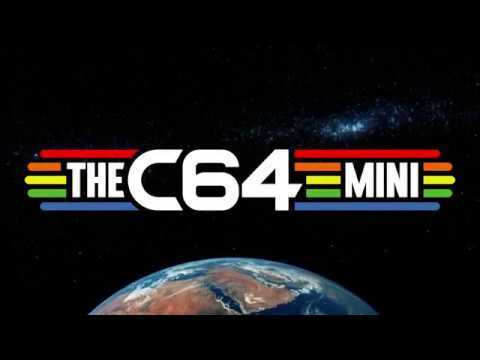 THEC64 Mini; A tiny but perfectly formed 50% scale replica of this much loved machine. THEC64 Mini plugs into any modern TV via its HDMI port and gamers can play any one of the 64 licensed classic pre-installed games using the classic style joystick at up to 720p HD. This includes games from original legendary developers and publishers such as Epyx, Gremlin Graphics, Hewson and The Bitmap Brothers; and boasting titles such as California Games, Speedball 2: Brutal Deluxe, Paradroid and Impossible Mission. Most of these were rated over 90% by leading publications of the day, with many winning coveted awards. From sports to shooters, platformers to puzzlers, there’s a plethora of titles to keep the most discerning retro enthusiast happy. As befits the original, designed as a home computer; you can also plug in a standard USB PC keyboard and use as a classic C64 to type in those old BASIC computer listings or program new games. Below is the current full list of games available on THEC64 Mini. Please note that not all games are available in all territories, or on all versions of the console. • Zynaps Features • Mini version of the best-selling 80s home computer coming with a joystick and 64 fully licensed classic games. • High Definition output at 720p via HDMI allows connection to any modern TV & most new monitors. • Save game function for picking up games where you left off. • 2 USB Ports: Plug in a USB keyboard and use as a fully functional home computer with C64 BASIC, or add a second joystick for 2-player games. • Regular firmware updates constantly improve your experience with the Commodore 64 Mini. • Add your own games & files, and also apply software updates via USB flash drive. *AC Adapter not included, available separately. Important – Please Note: The keyboard keys on the console are non-functional, & for aesthetic purposes only.